So Is It Safe to Eat at Chipotle Again? Life is about accepting risk. Each time you step outside your door, you face the very real possibility of being hit by a bus, stung by a bee, attacked by a chainsaw-wielding psychopath, or handed the wrong beverage by your Starbucks barista. Some risks, obviously, are worse than others. So if you value your generally diarrhea- and vomit-free existence, the idea of getting lunch at Chipotle might seem like too big a risk to stomach. At first glance, the numbers sound pretty bad. Since last summer, more than 500 people in Boston and on the West Coast have been struck ill by E. coli, salmonella, or norovirus after eating at the once-beloved Mexican fast-casual chain. Perhaps worse, in most of the outbreaks, the guilty ingredient remains a mystery. On Wednesday, Chipotle announced it had been served a federal grand jury subpoena related to a criminal investigation over its norovirus outbreak in Boston. Customers are reacting in about the way you’d expect: by eating elsewhere. Sales at Chipotle restaurants open for at least a year were down 14.6 percent during the fourth quarter. But how worried should you be, really? First, it’s important to understand that there’s more than one boogeyman here: For the most part, these outbreaks all had different sources of contamination. Three of the outbreaks were bacterial, stemming from salmonella and two different strains of E. coli. That means the ingredients in question were contaminated either in the fields or somewhere along the distribution line—far before the food got to your burrito bar. In December, Chipotle acknowledged that its supply chain may have had some shortcomings. The company announced that it had partnered with food safety testing and consulting company IEH Laboratories and its founder, renowned food safety expert Mansour Samadpour, to institute “some changes to our previous protocols” including safety testing, ingredient handling, and crew training. Bacterial pathogens thrive on produce that hasn’t been properly washed or refrigerated. So if you’d really like to significantly reduce your odds of encountering E. coli or salmonella, you could avoid ordering produce in your lunch. “If you eat any raw vegetables, there is a risk of E. coli,” says Sangwei Lu, an adjunct professor of infectious disease at the University of California at Berkeley’s School of Public Health. “You can never make sure that raw lettuce, tomato, or any raw vegetables are completely pathogen-free.” In that sense, you might be better off avoiding a salad chain like Chop’t (which uses a lot of raw ingredients) than boycotting Chipotle (which uses only some, like shreds of lettuce)—and an even better bet may be ordering French fries at McDonalds, which have been doused in pathogen-killing oil to the point of sterility. But let’s say that—YOLO!—you just have to have your Chipotle burrito. Now the question becomes: What’s the least risky dish to order? According to Oliver: “If you really wanted to manage your risk, you’d eat a hot burrito. You’d make sure it was hot when you received it.” Again, you’re going to want to avoid raw produce, namely lettuce. If you do insist on raw vegetables, you’d better nuke your burrito in the microwave: Heating your food up to 150 degrees Fahrenheit will kill any lurking salmonella, E. coli, and norovirus. What about pico de gallo? Yes, it has raw onions, cilantro, and tomatoes. But go ahead and live a little: Salsa is relatively safe, because its high acidity makes it harder for bacterial pathogens to thrive, says Oliver. Chipotle has always acknowledged that its risk of an outbreak might be somewhat higher than other chains. It’s fresh, local image is a double-edged sword: “We may be at a higher risk for food-borne illness outbreaks than some competitors due to our use of fresh produce and meats rather than frozen,” the company wrote in its 2013 annual report. And while the chain prides itself on sourcing from local and regional farmers, that means there are a lot more moving parts, less oversight, and thus potentially a higher risk for contamination from any one of those local vendors, says Oliver. For germaphobes and hypochondriacs, there is a silver lining. 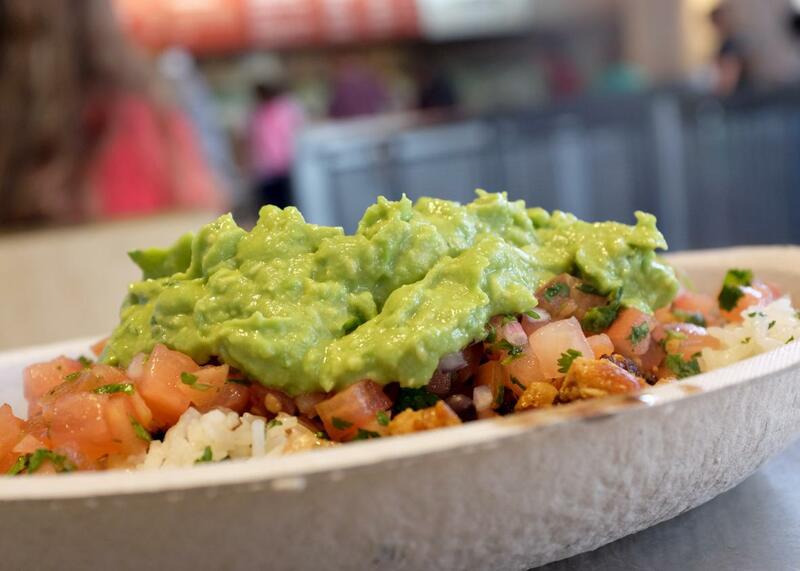 Post-scandal, Chipotle is likely now on its best behavior to avoid another outbreak. Which, for the customer, is great news. “Chipotle may now be paradoxically among the safest places to eat in this country,” says William Schaffner, a professor in Vanderbilt University School of Medicine’s division of infectious diseases. “Would I eat in Chipotle this afternoon if I were invited to lunch? Yes.” Lu agrees: “I bet they are testing their food a lot more now,” she says. “It doesn’t guarantee that no one will ever get sick from Chipotle again, but my bet is that the food would be much safer than it was before,” she says. So go ahead, live a little! But don’t forget to nuke that lettuce.